At beforeUdig, the safety of those working around utility assets and the community is of high priority. At every stage of the project, there are measures that can be taken to ensure the safety of those involved in the project and others. It begins with lodging a FREE beforeUdig enquiry at least 10 full business days prior to starting your excavation or site project. Having the correct information and knowledge will assist greatly in avoiding damages to affected utility assets. Plans DO NOT come from beforeUdig but are sent directly to the enquirer from the utility asset owner. Once all plans have been received from the affected asset owner as indicated by the cover sheet, study the plans and information thoroughly to ensure there is an understanding of what is required. Consider hiring a qualified utility surveyor or one recommended by the asset owner if you believe there are utility assets within the vicinity of your project site but cannot locate them. Safety plans should be developed for the project site that include procedures employees should follow in the event of an emergency and the location of the nearest hospital, the fire services, Garda station, and other relevant emergency response organisations. Use facility records and a visual inspection to gather site information to determine any hazards, soil conditions, trenches, pits, bores, standing water and potentially any dangerous physical obstructions that may impact the safety of employees and the community at the project site and find suitable solutions. 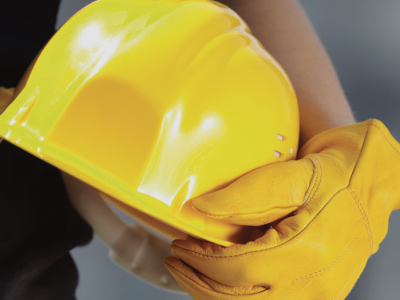 Employees and subcontractors working onsite must be trained and briefed on all safety measures in order to avoid unnecessary risks and place safety as a priority. If working in any confined space, some asset owners have restrictions on entering confined spaces and have specific health and safety induction and training requirements. Please refer to the information and plans provided by the asset owner for further clarification. If the scope of your work changes or the validity date(s) of plan(s) expire, a new beforeUdig enquiry must be submitted. Please note that plans provided by the asset owner only indicate the presence of utility assets within the vicinity of the project site and DO NOT pinpoint the exact location. Unfortunately, not all of Ireland’s utility asset owners are Members of beforeUdig and assumptions SHOULD NOT be made that the plans received represent the only utility assets affected by the project work site. Following the Five Rules of Safe Excavation guidelines can ensure the right steps are taken. Plan ahead by lodging your beforeUdig enquiry at least 10 full business days before starting any excavation to ensure you have the correct information and safety measures in place. Prepare by reviewing the utility plans. Contact the utility if you need assistance. Look for clues onsite such as manhole covers, marker posts and meters. Engage a qualified surveyor which includes undertaking electronic location and marking out prior to potholing. To establish the exact location of all underground utilities, slit trenching and hand digging should be carried out if permitted using the asset owner’s stated method as specified on the asset owner’s plan and / or information pack. Following investigation of exact location of services, protect the infrastructure by using various methods, such as communicating to all working on site, erecting barriers and / or marking the location of the exposed infrastructure. You should only proceed with your excavation work after you have planned, identified through investigation (unless prohibited) and have protective measures in place. Once the project is complete, ensure no utility asset(s) have been damaged and that any exposed underground asset(s) uncovered by any excavation has been filled back in correctly. If damage has occurred to any utility asset, notify the affected asset owner immediately by using the contact details on the beforeUdig cover sheet or via the Emergency Contacts page. If the situation is life threatening, please contact the Emergency Services on 112 or 999.